With the release of the new waterproof Oasis about a week out and the Kindle line’s 10th anniversary happening next month, it’s as good a time as any for the company to release an overhaul version of its reading app. Amazon releasing a new version of Kindle for iOS and Android today, featuring a redesign, much deeper Goodreads integration and persistent search. In spite of media claims regarding its death, Amazon’s still pretty bullish about this whole “reading” “books” thing. In addition to the Kindle line having its best ever 24 hours during last year’s Prime Day, the company says more people than ever are reading books through the platform. 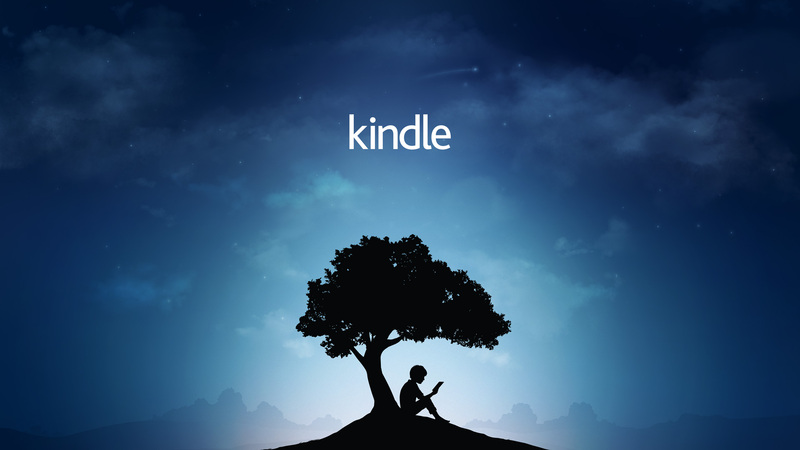 The company’s VP Jeff Kunins told TechCrunch that people read more pages and bought more books through the Kindle store than ever last year. And while Amazon’s got a bit of a stranglehold on e-reader hardware here in the States, the company’s mobile apps have no doubt played a pretty large role in the uptick in numbers, fueled by the introduction of the Kindle Unlimited subscription service and Prime Reading, which offers select titles for free to Prime members. The biggest upgrade to the app is more meaningful integration of Goodreads, the social reading network Amazon snapped up back in 2013. The service has been offered up in bits and pieces through the Kindle mobile app, but here it’s essentially given its own separate tab, bringing most of the Goodreads standalone app’s features to the interface. That means getting friends’ updates, adding people, rating books and the like. For those who aren’t already signed up for the service, Goodreads will still feature into the Kindle app, but all of the content will come from “influencers.” Amazon was fairly slow in integrating the service after acquisition, but making it unavoidable is sure to drive up sign ups for the service. That sort of social engagement is also precisely what Amazon needs to sell even more books, as users share titles back and forth. Speaking of sales, search is now front and center on the app. The search bar up top can be used to find already purchased titles, and Amazon will recommend additional selections from the Kindle store, so you’re never too far away from being able to buy a book. The UI also gets an overhaul. Things have lightened up quite a bit, with a new, white background that features a darkening gradient as it pushes out toward the edge of the page, to mimic the oxidation effect that old books undergo. The cover images are bigger, as well, and a bunch of thought has apparently been put into the font selections, going mostly with san serif and reserving serifed fonts for titles, for a little bit of a nod to those old timey paper books.